When I was new to the makeup world, I noticed how vast this world was. There were millions of products and each product was way too costly in itself. I searched for “Beginners Makeup Essentials” over the Internet and found various YouTube videos and blog posts suggesting few must have makeup products. The products were way too costly and it was not easy for me to invest a lot at the starting. I wanted to learn this art and then invest in costly products. My funda was to invest in make up tools first in order to learn them. I first bought makeup brushes to learn how to play with colours skillfully on my face. As I mentioned, I did not want to invest a lot in make up at first. So, I picked up few products from a local cosmetic store to master the art. I just love eye makeup and first of all I bought an eyeshadow palette that was pocket as well as travel friendly for me.Without wasting more time, let me disclose the eye shadow palette. It was the Steel Paris 18 coloured eyeshadow. I know the name is almost unknown. 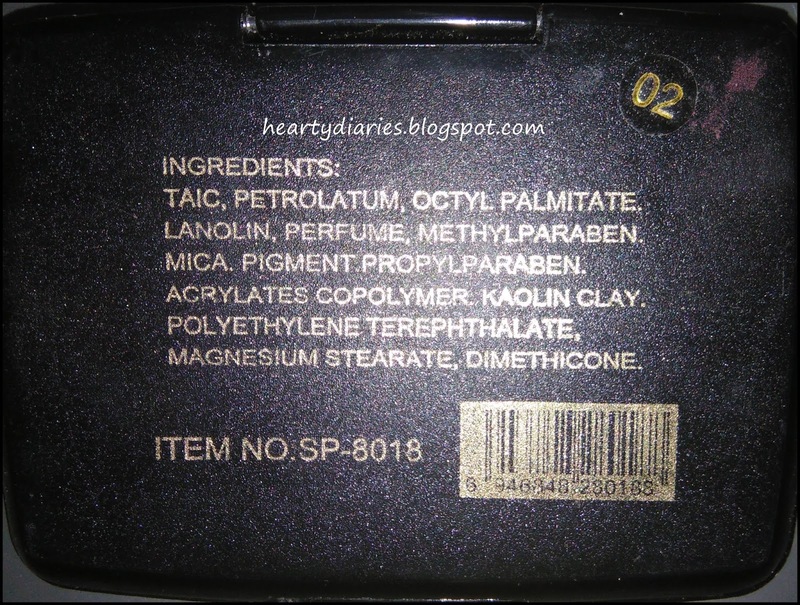 This is why I want to review this today as it has been my first friend in this makeup world. We all have seen millions of reviews on the internet about high end products or products which are by known and established brands. Why not review and tell the world about a brand that is less known but works pretty well? Rather than reviewing products which are already very much talked about, I want to review products which are less known and less talked about. 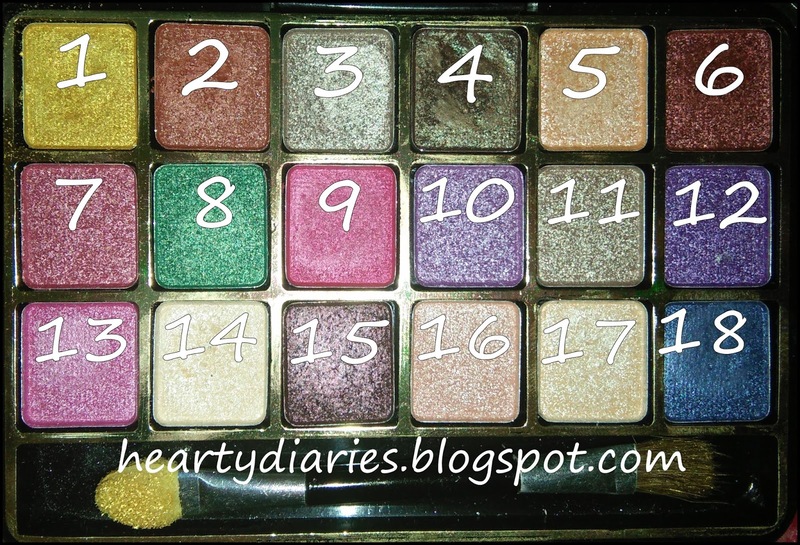 As earlier mentioned, this eyeshadow palette has 18 colours in it and it’s a wet eye shadow. Wet eyeshadows, as suggested by their names, require using with a wet (actually damp) brush. This is also a reason why people don’t want to buy them, because they feel wet eyeshadows have a limitation to them. I suggest using the brush given in this palette for better application. They don’t work well with synthetic brushes. Product Description: There is no such product description mentioned on the palette but the item no. mentioned is SP-8018. It also has 02 written over it which I don’t know why exists! Buy it here… I got it from a local store for Rs. 80. 1. 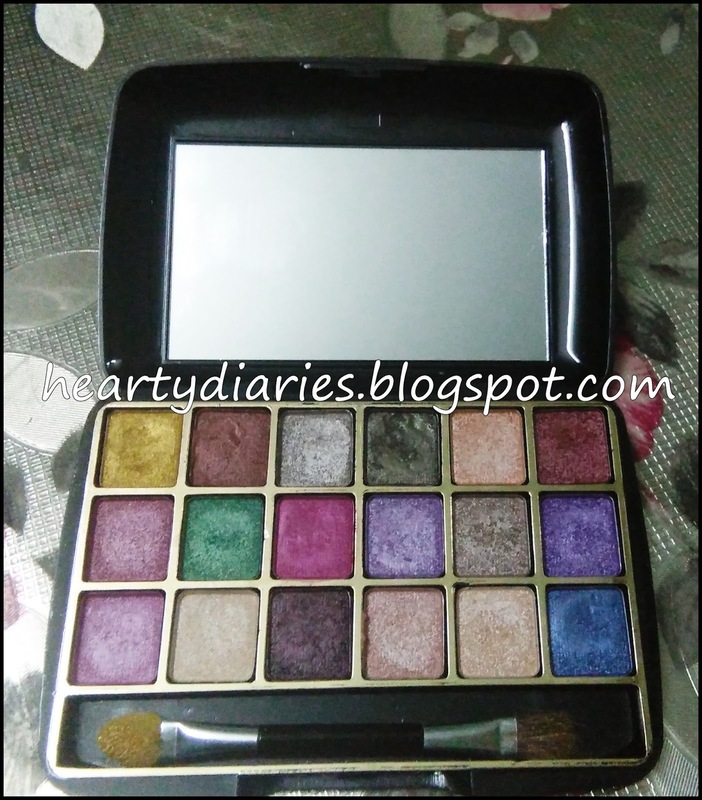 The palette is very light weight and small which is easy to carry. 2. 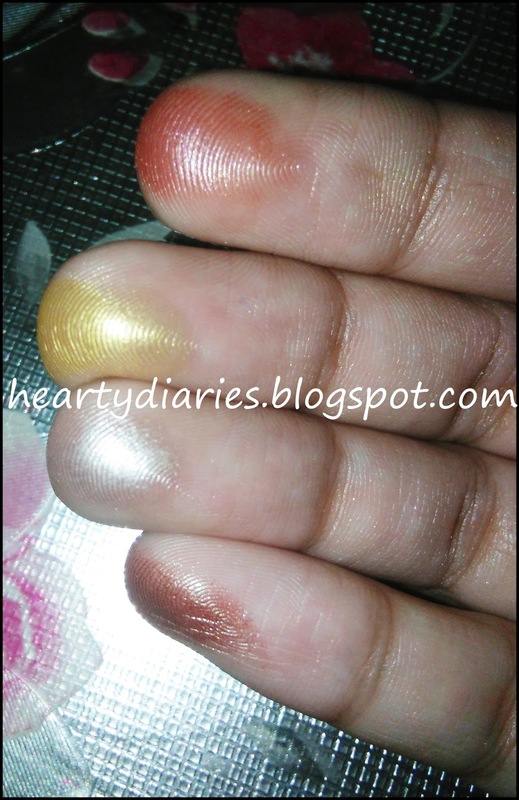 There are almost all necessary colours and have a good pigmentation. 3. The price point of this product is so good that it’s very convinient for those who don’t have high budgets. 1. It is a wet eye shadow and require using a damp brush. However, as I mentioned, without using damp brush also, they work well. Will I buy it again? Yes I bought it two times when I was a makeup beginner. If I have a less budget, I will surely buy it again. Is the price worth it? Yes Yes Yes! It is highly worth the price. The price point actually makes it a star for me!!! Final thoughts: This is a hero product if you are a makeup beginner and don’t want to spend much amount initially. This has given me good results and I recommend it 5/5 if for make up beginners. Even others can try but as we get more into this makeup world, we discover and invest more. I am swatching these eyeshadows here without using a damp brush to show you how much pigmented they are even without being wet. If you use a damp brush, trust me you will get even a better colour. I am numbering the shades for a proper knowledge of the shades. Wow! Just look at that metallic content. The colours look sooooo pretty! Don’t forget to comment, share and follow my blog! Wow.. Thank you so much. great post. Very helpful. Are ADS makeup kits worth?